The followings are answers to the questionnaire from our previous students (including temporary recessed students) regarding the quality of the instructors. • How was the quality of the instructors? *They were all wonderful instructors. I am not confident that I improved my English, but now I am able to speak English without the fear. I was glad that the school offered the extra 15 minute free lessons, and I wished I could take free lessons everyday if I had time. *Allowing me to take lessons every day helps me greatly to improve my English. Please keep providing us the better quality lessons in the future as well. *I think it was very good. The teacher was able to change the lesson style according to circumstances when I asked and responded to my questions with reference url addresses. From that, I felt the professionalism in her attitude to try to understand me in response to my enthusiasm toward learning English. *Comparing to other schools, it was very good. Every teacher was polite and friendly. They were professional in service. *I think it was satisfactory considering the price. *Compared to other online schools in the same price range, the quality of the instructors was high. *It varied depending on the instructor. *I took lessons with Teacher Pie every time. She was very cheerful and I enjoyed her lessons very much. *I wasn't really paying attention to it but I felt the school had relatively friendly instructors. *These were the best online English conversation lessons I ever took. The more popular the teachers get, the more they get together. *I had some good teachers, especially Teacher Virginia. 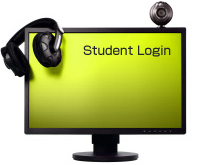 *Compared to other schools, the quality of the instructors was good including the chat communications. *Teacher Lenly was the most skillful by far, and she was the best teacher including her human nature. Teacher Fraxie was a very good teacher as well. *I usually had lessons with Jean. I was a beginner, but with her thoughtfulness, I could always spend the good time with her. I believe she is a very talented English teacher. *The quality was high and thanks to friendly and cheerful teachers, I could spend good time through out the lessons. *The instructors were very polite and easy to understand. *I felt that many teachers' pronunciation was very beautiful, and most of the teachers' personalities were also wonderful. *Overall, the quality of the instructors was high, and they were kind and gentle teachers. *Teachers were very friendly, and I was able to continue to study pleasantly. There were many beautiful teachers that motivated me as well. Hello. It has been two years since I started to study at iTalk. At the beginning, I couldn't speak any English, and I felt "I don't think I can ever speak English!" Thanks to Marife, Jocel and Lyn, now I can speak English comfortably. Then, I have visited the Cebu office twice, and it became my favorite place. I am really glad that I found iTalk. I will recommend iTalk to my acquaintances. Last month, I went studying in Cebu. At that time, I visited the Cebu office, and teachers were very nice showing me around Sinulog and inviting me to the birthday party. I don't know this contributes to the increase of the students directly, but I was very glad that they treated me with warmth. I commented on the notebook as well, but when I uploaded the picture I took at the office on Facebook, I have received some questions regarding the school from my friends. They are still considering, but I thought I might have contributed to raise the awareness of the school. I never thought I could meet teachers in Cebu when I started, but I was very glad that I chose this school. I am looking forward to returning to taking lessons after the next month. Building up my English conversation skill was my urgent necessity for my job, so I am using the school almost everyday. I am impressed with the quality of the teachers and the low course fees. The school contributes to the improvement on my English skills greatly. I sincerely hope that the school will keep up the quality at this level going forward. Previously, I took other online English conversation classes using Skype, but the teachers' attitudes toward students and high quality of the teachers are evident. I will continue to use your school so please manage to keep up the high quality lessons. The other day, I cancelled Teacher Rachelle's lesson without the notice. I realized later and send her a message saying "I'm sorry I cancelled your lesson today." Next day, she responded me on iTalk's My Page with an encouraging comment. Despite my cancelling the lesson without the notice, I was moved and surprised that she sent me an encouragement. I have never met any teachers as wonderful as she is before. It has been one year since I started to take lessons at iTalk. It is a wonderful English conversation school that made me to think I would like to continue forever. Instructors are wonderful, and I am amazed with their high level of supports and skills. There are some teachers that give lessons particularly with tender care. I can't thank them enough with giving good comments and evaluations for the class. My TOEIC score has increased to 945 points after joining iTalk for six months. I felt my English conversation with instructors is becoming smoother. The quality of the instructors is very high, and this is totally different from Company E and R in this respect. I recommended iTalk to my colleagues. 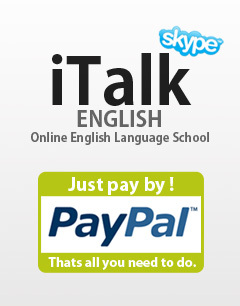 Like your school, a very affordable English conversation school system is strongly needed in the world. I will be glad if I can restart the lessons from the morning. I have little time to study so my English doesn't improve a lot, but I am very grateful that teachers are very patient to teach me. I will be glad that if I can reschedule more times. Hello, I always enjoy taking the lessons. After joining, I realized that your school's lessons are more effective and with good content than I imagined before joining. So I am thinking of switching from a monthly 25 minute flat rate class to a 50 minute flat rate class. It has been six months since I joined iTalk. The conversation practice right after I joined the school was painful, but currently I am enjoying the day-to-day simple conversations in lessons. I think this is because of your school's good management system and the passionate lessons by instructors. I would like to study to improve more and more. Keep up the good work. Hello. I have finished two free trial lessons and started taking regular lessons today. Last year, I studied online for one year at English Txxx and one year at English CxxxL this year, but I didn't understand why I couldn't speak English freely. But after one free trial at iTalk, I found out my true weakness!! I discussed with my teacher, and we talked over our future lesson plan today. I've never met such a wonderful teacher before. I am so glad that I almost cried. I thank iTalk introducing me to this wonderful teacher, and I will continue to study at your school. Teachers at iTalk are very cheerful and teach me very hard. Not like other schools where many temporary teachers speak English to us to just earn money, your school makes a favorable impression on me. Since I introduced my colleagues to your school, they seem to enjoy talking about how this teacher is good or that teacher is good. For me, I am looking forward to taking TOEIC test next time. My children can enjoy taking lessons with video imaging, audio and flash cards. They keep playing around in the middle of the lesson, but the teacher tries patiently not to make them bored with the lessons. I often take free lessons, and I feel worried whether the school makes money or not. I take a lesson three times a week and when I have time, I take two lessons. My friend told me "Your English pronunciation suddenly improved, hasn't it?" I will keep a secret about this school because if the school gets very popular, I feel like I might not be able to take the free lessons anymore. I will keep up this pace for while. I can book a lesson five minutes before the lesson start time and can cancel one hour before the lesson. So whenever I have time, I use them conveniently. I ask my teacher to check my pronunciation often, but I don't get an OK from the teacher even though I felt like I pronounce exactly the same as the teacher. Teacher Yonie is never negligent and teaches me persistently how to pronounce over and over again. I am truly grateful to her because I never met the teacher that teaches me as passionately as her ever.